Posted April 21st, 2012 by Ryan & filed under Programming. What I normally do is put a label on top of the field, and that seemed a pretty good solution to fallback on if placeholder isn’t supported. The addition to the $.support came from David Walsh with a slight modification to shrink it to one line. What the code in the .ready function does is check to see if the placeholder attribute is supported. 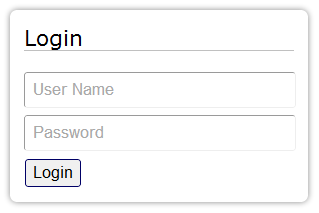 If not, it then goes through and inserts a bit of HTML above the field using the placeholder attribute as the text. For this example it’s just wrapped in paragraph tags. But I’ll probably wind up using a label instead so that it’s clickable. And yes, the Chrome version also is sporting drop shadows and curved corners; neither of which are supported in IE. The most common solution I came across was to hook onto the focus and blur events of anything with a placeholder attribute. blur() would set the text of the control back to the placeholder if the input field is empty and focus() would blank it out if the text is the same as the placeholder. I tried a couple of plugins that did this, and none really worked all that well. Each that I tried had an issue where if you clicked in the middle of the text it wouldn’t blank it out. 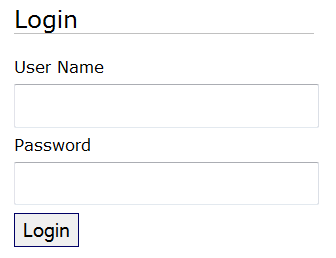 The other problem is that since the text is getting set, submitting the form would submit the placeholder as well. The other solution I found put another HTML element on top of the text field. Didn’t try any of those though since it just seemed messier.